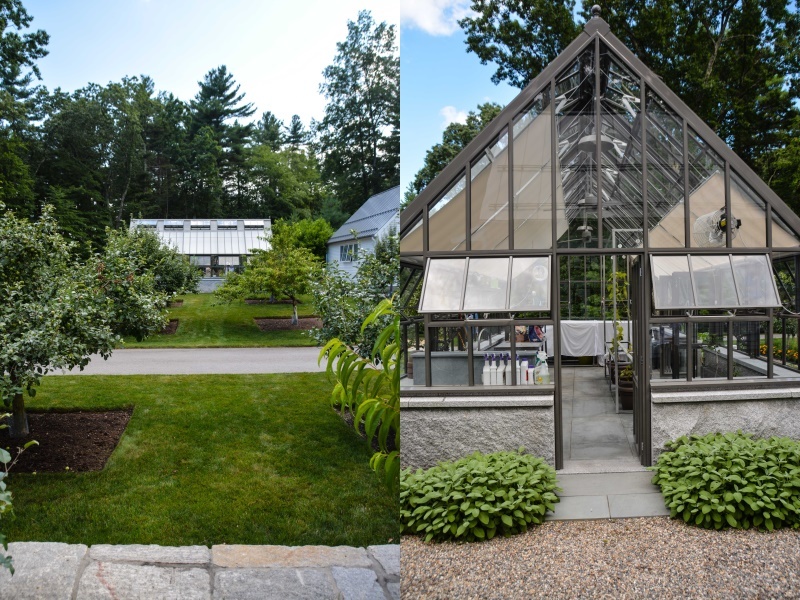 Here is the first garden tour from the APLD Boston Conference. I shared more details about the conference in a previous blog, so if you want more information on the event you can read HERE. 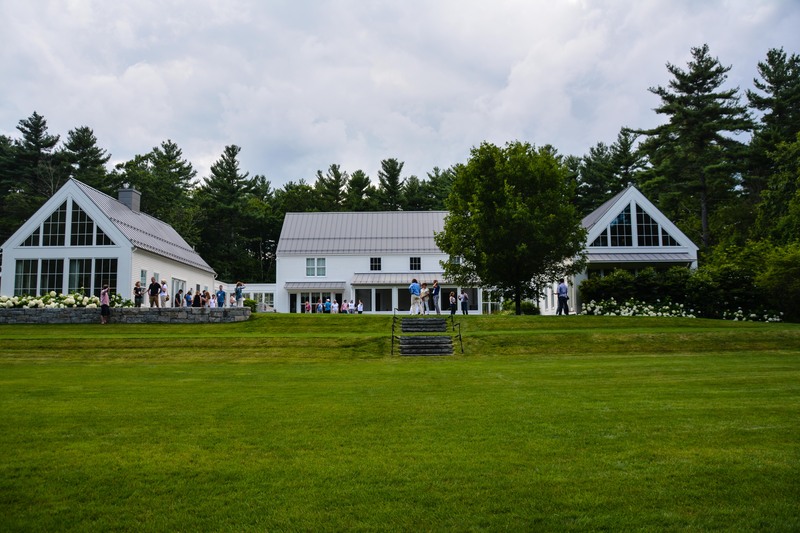 The gardens on the tour are selected from local APLD members and include a variety of styles, sizes and types. I am not sharing these in the same order we toured, more just the order I had them edited. 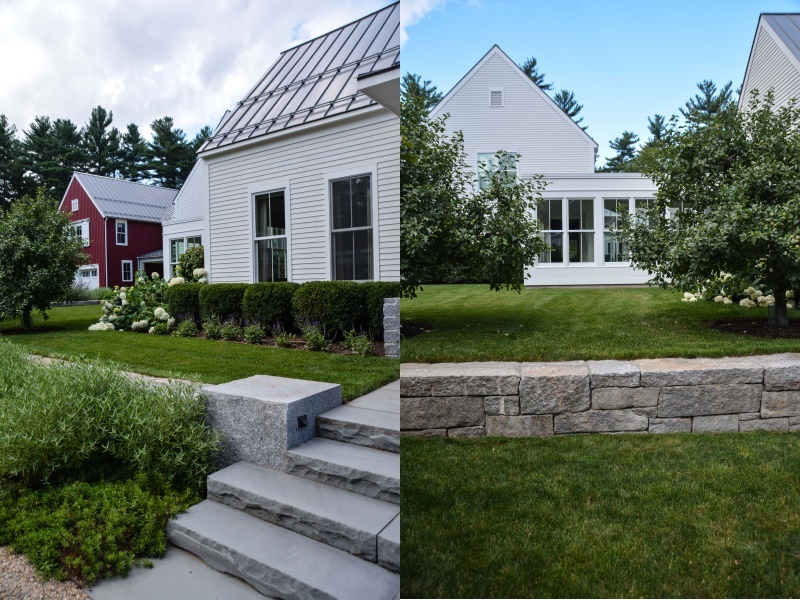 Contemporary Farmhouse Garden in Acton, MA. 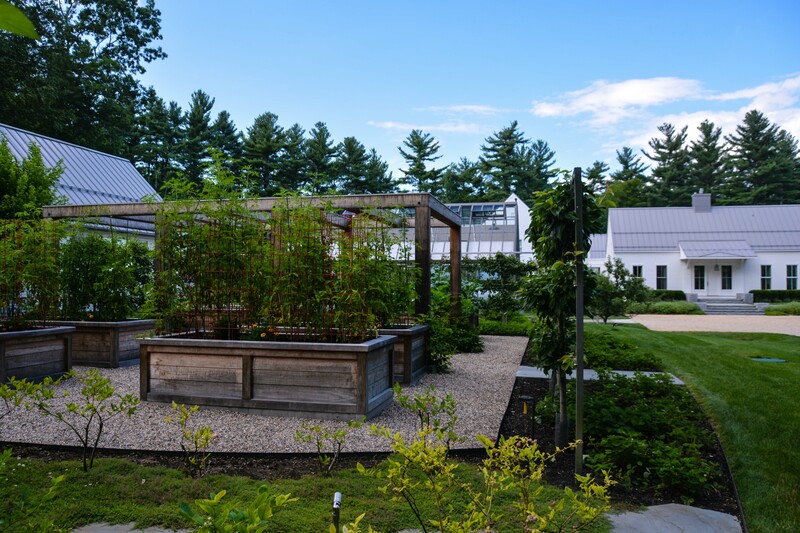 This garden showcases how edibles and a productive garden can be functional and highly designed as a formal garden. 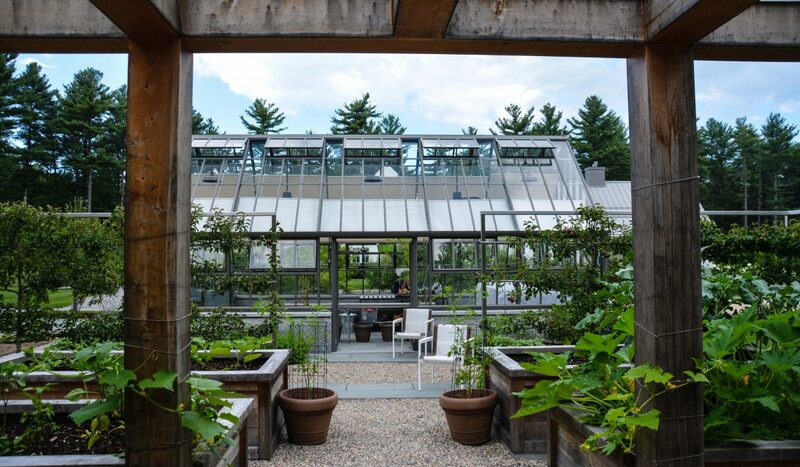 The greenhouse, potager and edibles through out this property are a continuation of the contemporary farmhouse. 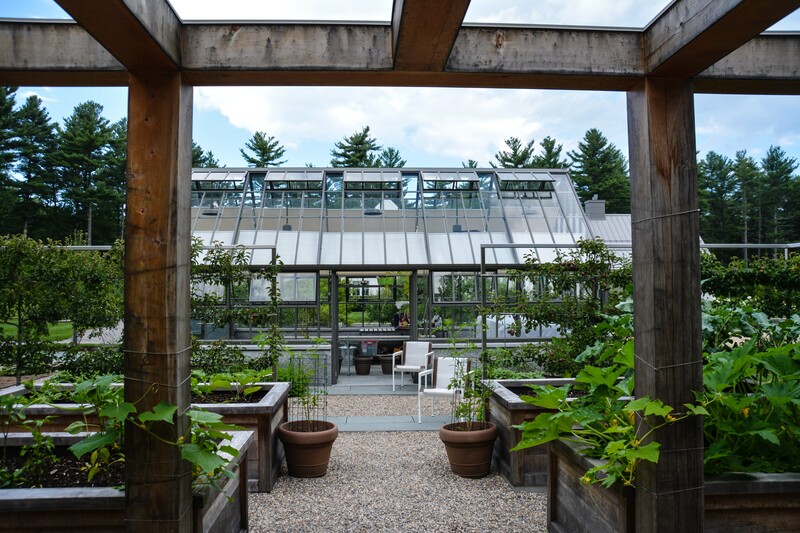 The classical edible garden elements are present in the garden, but designed using contemporary elements and restraint. 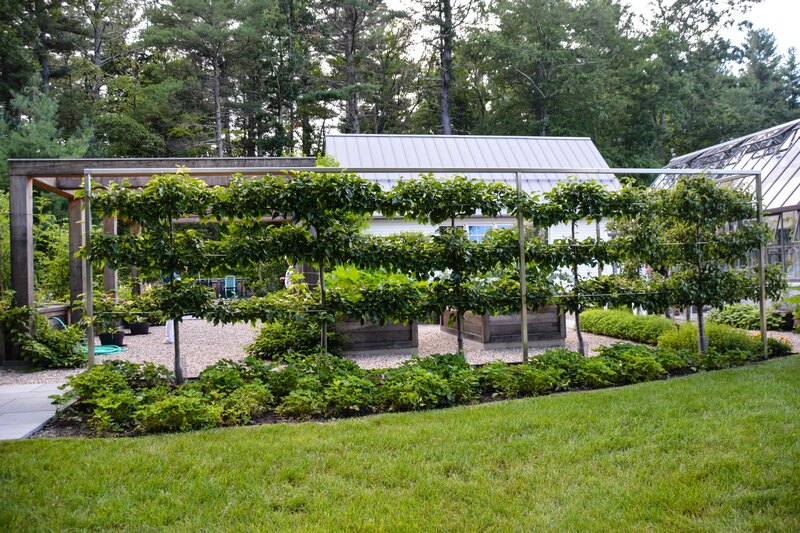 A wall is created around the raised vegetable garden boxes with espaliered pears and a streamlined pergola. Even the underplantings are edible. Another feature this property is the use of natural stone in a variety of methods and types. 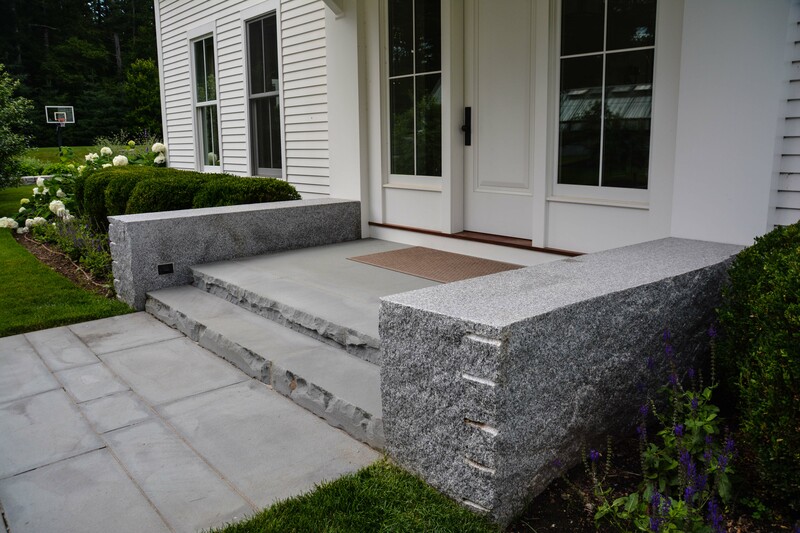 This outdoor grill features stacked thick cut stone with garden paths use natural shaped stones. Again natural stones are mixed to add interest with bluestone paving and pea gravel. 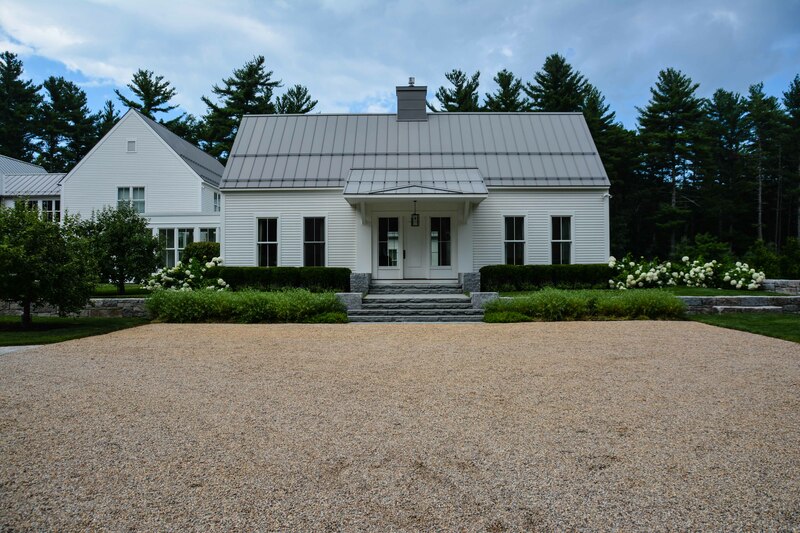 Natural elements are repeated in the different areas, with every detail designed down to the square edging around the orchard. The view of the back of the house. This showcases the number of folks on the tours, yet in my photos I am able to get with as few obstructions. 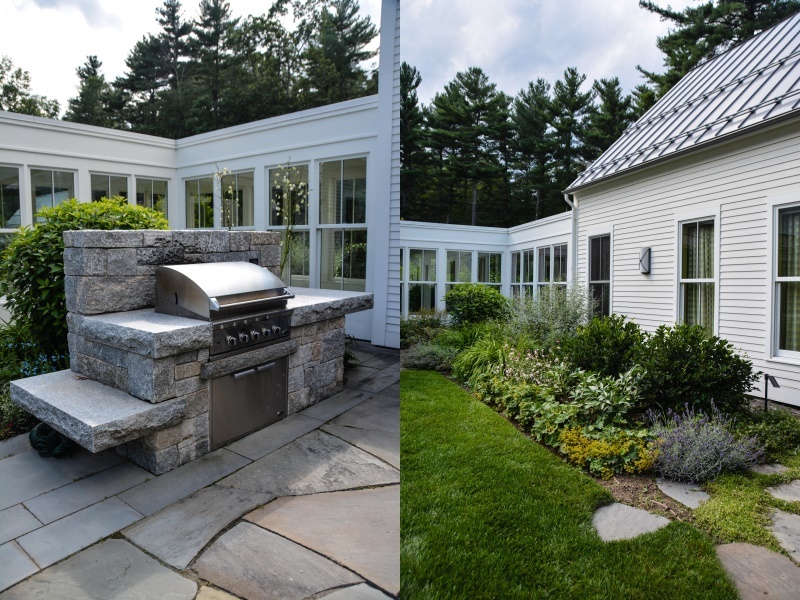 This hardscape area is a favorite for the mix of stone shapes and the transition into the turf. 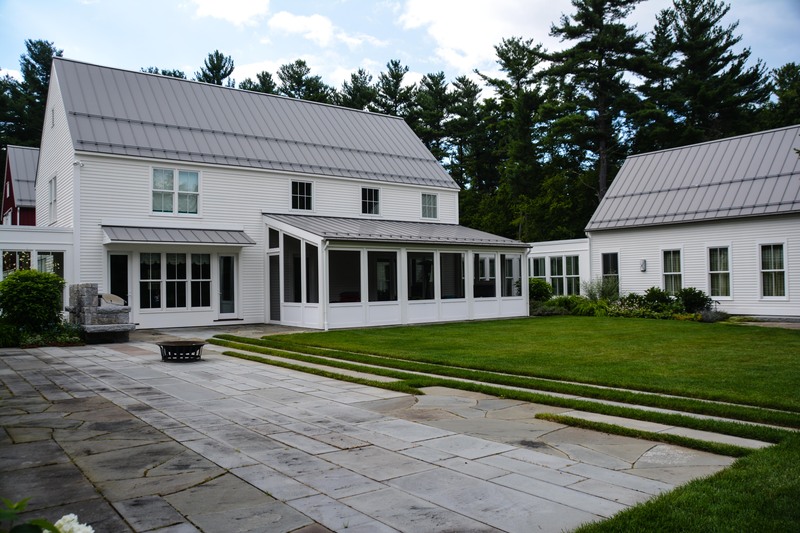 You can see the stone grill in the background and the perennials around the house. Keep checking back as I post more tours from Boston. 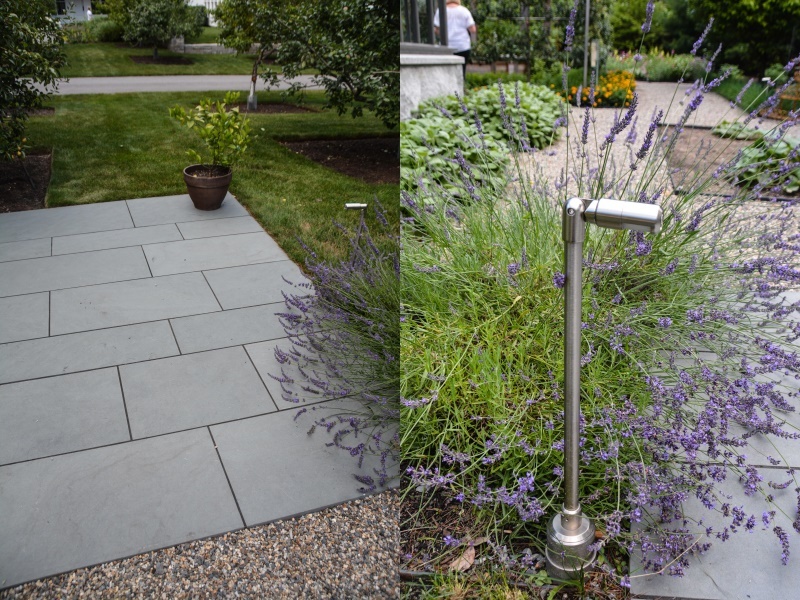 This entry was posted in G A R D E N S, GARDEN DESIGN, Garden Tours and tagged Acton, APLD, apple espalier, bluestone, Boston, classical edible garden, Contemporary Farmhouse Garden in Acton, contemporary garden elements, edible garden, espalier, espaliered, Garden Concierge, garden design, garden inspiration, garden tour, Garden tours, gardening, gardens, granite, granite curbing, greenhouse, landscape design, MA, Marc Hall Design, Offshoots, potager by Nick. Bookmark the permalink.